Lots of it! The PRX Podcast Garage is attached to a large free parking lot that generally has plenty of available space. There is also public parking along Western Ave.
Do I need to be a member to record? Not at all! Anyone can reserve our studio. Then again, you should check it out — our membership comes with some sweet perks, including cheaper studio time. A staff member will always be available to start and finish your session. This includes a sound check, starting the recording, and transferring your files to the USB that you bring. If you are new to recording, we can also help you with good microphone practices. The Podcast Garage does not have an engineer on staff. If you do need an engineer, we are happy to provide information on how to hire an independent engineer. Absolutely! Our studio is designed with you in mind. 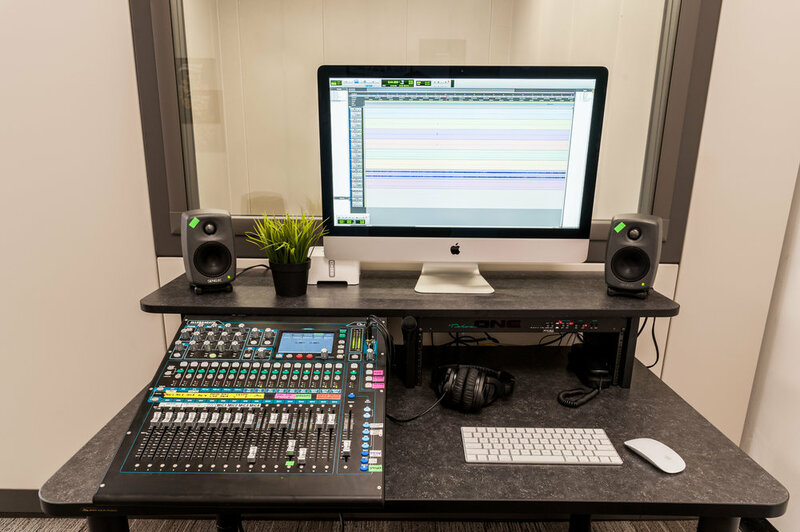 You won’t need to touch any mixing boards or configure any recording software during your session. That said, we only provide the recordings. We recommend that you take some time prior to reserving studio time to learn basic editing skills in a program like Hindenburg, Reaper, or Audacity. YouTube, Lynda.com, and many other websites have great resources to learn the basics of recording, editing, mixing, and mastering with those applications. Hindenburg has an entire library of video tutorials covering a wide array of topics. In the studio, we record each individual channel (i.e. each microphone, Skype, the telephone) to a computer using standard digital audio software, and to a second hard drive as a backup. Our system records at 48,000 Hz and 32 bit. Just your USB or hard drive, your notes, a credit card, and yourself! Please note: we sell USB drives if you don't have one to take your files. Please cancel or reschedule more than 24 hours before your session. Otherwise, we will charge you for the session that you originally scheduled as it prevents someone else from booking during that time. The 4-person studio supports remote participation through a standard telephone line and Skype, patched into the studio headphones. We do not have an ISDN line. We rent professional kits that you can use in the field, with a friend, or at Fenway Park! When you pick up the kit, we'll show you how to record high-quality audio outside of the studio. If you're thinking about buying your own kit, take ours for a spin to see how you like it. We asked lots of local producers for input on their favorite gear - and assembled a kit that can work for everyone. What equipment is included in the field kit? What if I'm new to using this equipment or field recording? We will give you a quick tutorial on how to use the equipment in the kit when you pick up your rental. How long can I have the field kit? You can reserve the audio field kit for a full day, Monday through Saturday, or an entire weekend. A full day is 24 hours and a weekend is Friday to Monday. You must pick up and return the kit during our open business hours. How much does it cost to reserve the kit? Tune-Up Members pay $20 for a full day and $40 for the weekend. Non-members pay $40 for a full day and $60 for the weekend. We take payment (credit cards only) when you pick up the kit. How do I reserve the kit? Call us at (617) 208-8911 to reserve the kit at least 48 hours in advance. Please keep in mind that we have a small staff - if you leave us a voicemail, we’ll get back to you as quickly as possible. Photos of Fred Clay and Victor Rosario, from the New England Innocence Project. 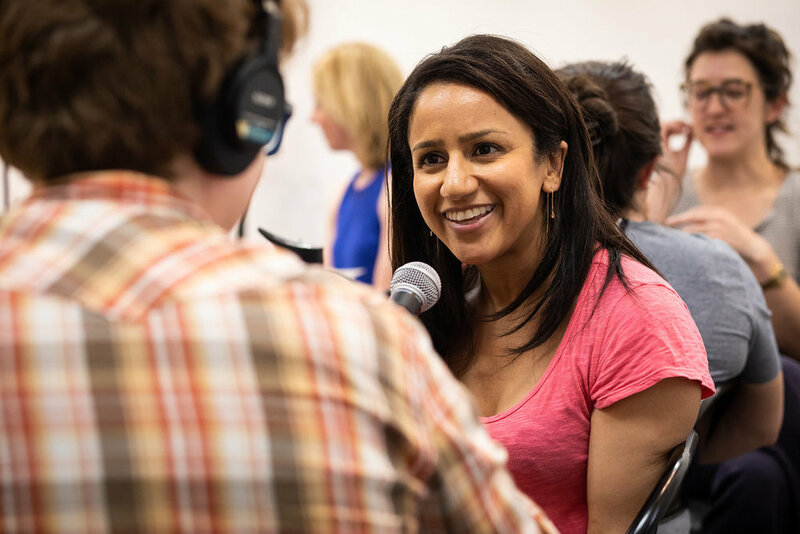 We partner with local nonprofits who want to produce a podcast or audio project. For six months, we offer free studio recording and training to support the organization. We look for partners with a clear vision for their project as well as staff or community members to produce it. We do not have production staff to make a podcast for any organization. Mass Exoneration, a podcast from the New England Innocence Project that shares the stories of people convicted of crimes that they never committed. The podcast explores their stories and the stories of those they had to leave behind. 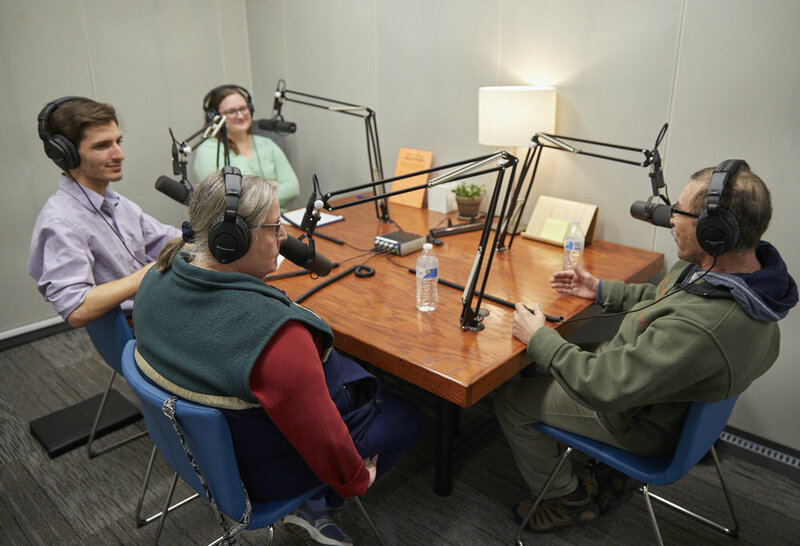 Outspoken Voices, a podcast from Family Equality Council by and for LGBTQ parents, people with LGBTQ parents, grandparents and everyone else who is part of our family journeys. Live from the Spectrum, a podcast from the Parent Leadership in Autism Network about raising kids on the autism spectrum. Improbable Players, which uses theater workshops and performances (based on true stories and performed by people in recovery) to address addiction, alcoholism, and the opioid epidemic. 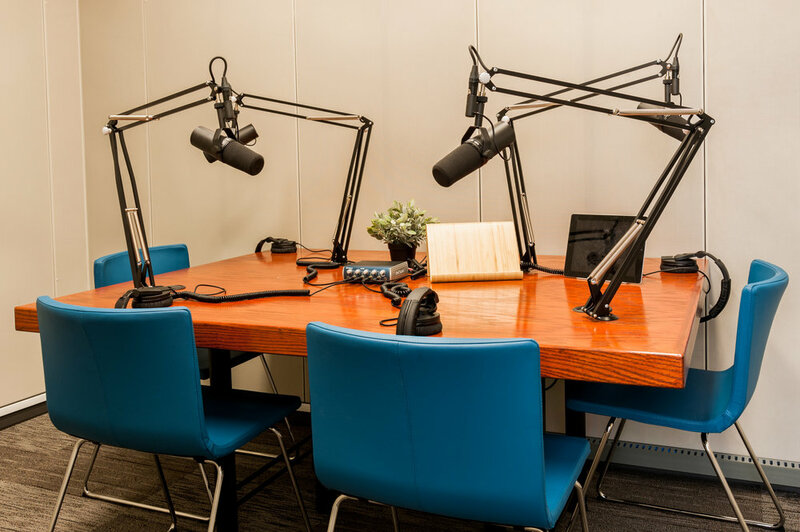 If your organization has an idea for a podcast or audio project and would like to partner with us, email us at info@podcastgarage.org. Everyone you know has a unique story. Gift them the chance to preserve and share it, whether it’s recording the oral history of a loved one, giving extra studio time to the podcaster in your life, or supporting someone with a great idea!